Surely not. But yes, today I was walking down East 78th street between 1st and 2nd Avenue and found a new (to me) bakery called Orwashers. Sitting in their window was the biggest, fattest doughnut ever. Is that a jelly (err, jam) doughnut I ask? Why yes, but you can choose what flavour you want inside. And there on the blackboard was a list of jam flavours and some enormous syringes. 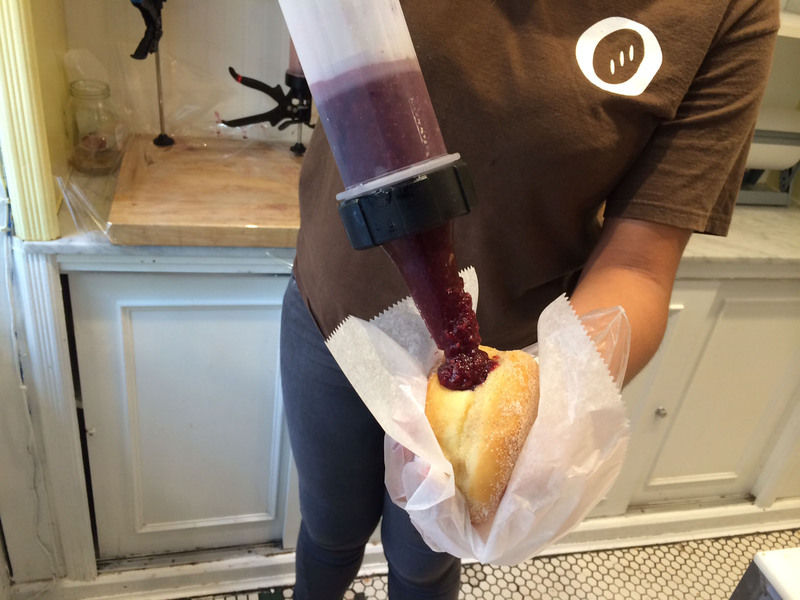 Curious I said I’d have one (and because I love doughnuts) and she proceeded to stab the fat doughnut with a large pair of scissors before injecting the doughnut with a vast amount of jam. Oh my. I carried it home very carefully, cut it into four and shared with J and E (R will have to wait, if he’s lucky, his quarter will survive in the fridge until this evening). The verdict? It was lovely. E liked it so much she licked the plate clean (urgh). Not enough though. 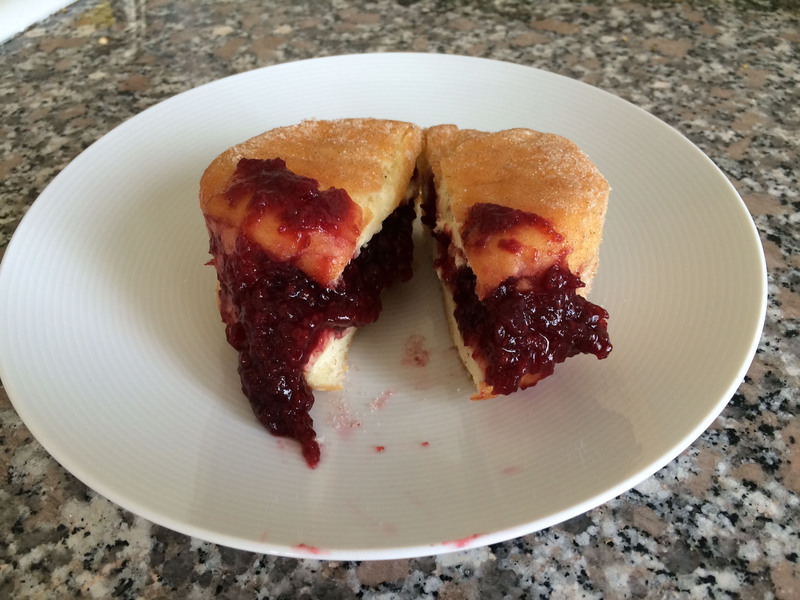 Given you can get an entire jam doughnut from Dunkin’ for a dollar, it’s a bit expensive but for an extravagant treat I may return and I won’t be sharing it. Categories: Food | Tags: doughnuts, Orwashers | Permalink.